Bahrain Science Centre summer workshops offering a wide range of activities that are concerned with scientific topics have proven to be a huge success amongst the children in the Kingdom. The summer workshops started early this month and over 600 children have already attended the workshops in the first 10 days with more groups registering every day. 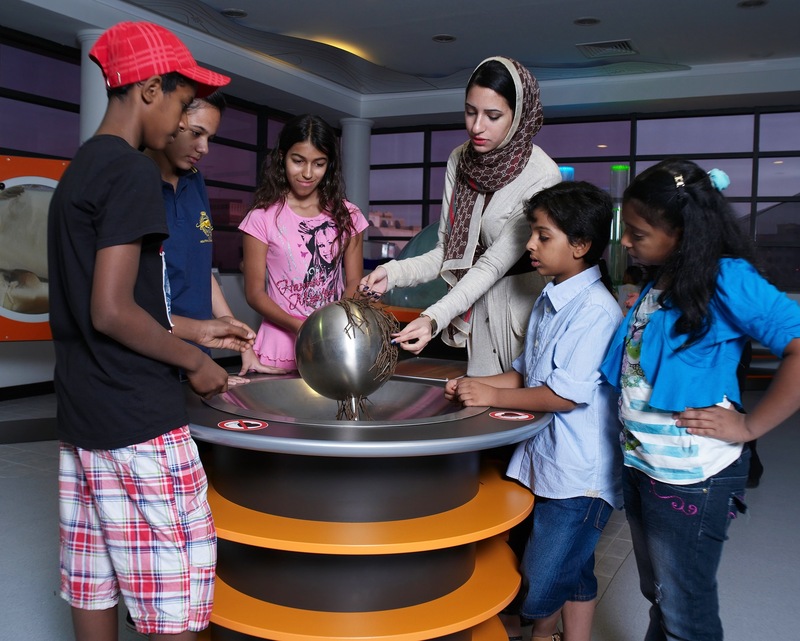 From science shows, story-telling, puppet workshops, talk shops, painting, craft to educational games, there’s something for everyone at the Bahrain Science Centre’s interactive workshops. A series of fun-filled games and hands-on activities encourage children to use their brains and to enter a world of imagination. Bahrain Science Centre storytellers bring tales from around the world to life. Entertaining and exciting activities are offered to develop essential life skills for young visitors at the Science Centre, which falls under Bahrain’s Ministry of Social Development. Summer camp organisers and their groups who attended the workshops at Bahrain Science were amazed. In particular, Ghada Salem, Founder and Managing Director of Mums in Bahrain Society and Aysha Al Ghattan, Principle of Good Seeds Summer Camp, Al Eslah society were excited and overjoyed bringing their children to the centre to experience hands-on learning activities while enjoying the summer workshops. Currently operated and managed by MTE Studios, the Bahrain Science Centre is the first of its kind in the country and all the displays are designed to be educational. Schools in Bahrain started exploring the new Bahrain Science Centre by appointments only prior to its official launch with great success since its opened doors late March 2012. School and Summer Holiday groups are still being formally invited until the Bahrain Science Centre opens officially to children as well as families and adults later this year. The Bahrain Science Centre is located in building 334, Road 109, Block 801, Riyadh Avenue, Isa Town, Kingdom of Bahrain and can be contacted on 136 846 86.